This Thursday, some 60 independent game creators will be pitching their studios and their games to almost 30 investors and publishers. It's all part of the GamesIndustry.biz Investment Summit -- a conference and B2B pitching event that has been running for almost a decade in the UK, but will be making its debut in the US at PAX East this week. 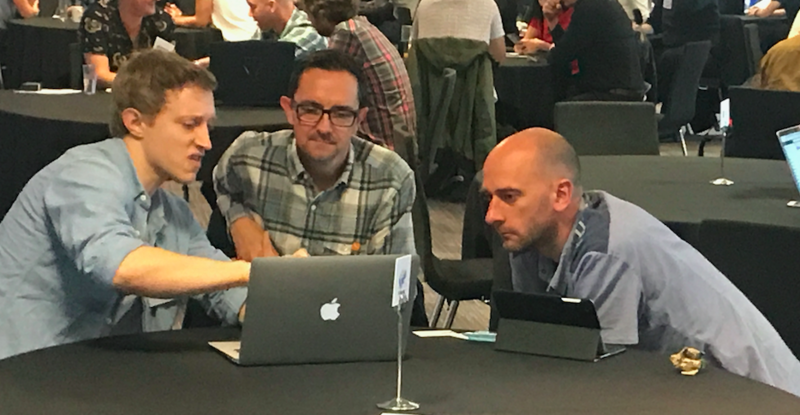 The event puts creators at its heart, and it begins with a series of talks from investment experts, followed by networking and then the one-to-one meetings. The meetings can be quite a relaxed affair, but for the developers looking to get that finance to deliver their products, it can also be quite daunting. 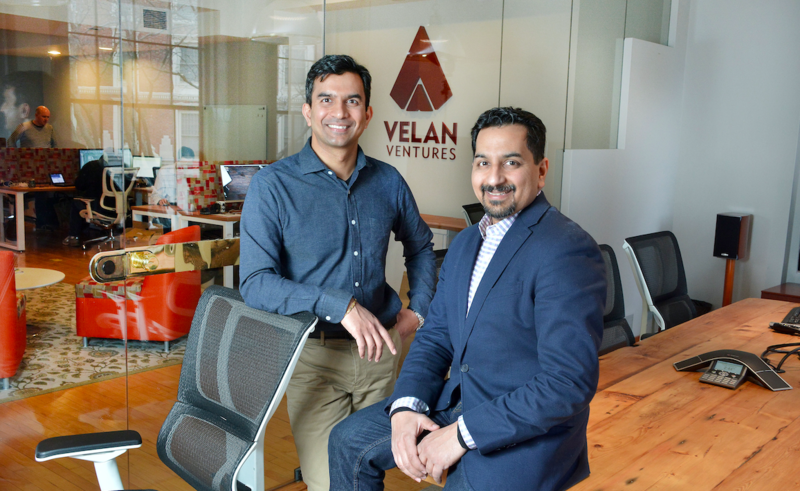 To help with the process, we spoke with Guha Bala from Velan Ventures. Bala is one of the co-founders of Vicarious Visions, a business now owned by Activision. In 2016, he and his brother set-up Velan Studios, which yesterday signed a new publishing deal with EA. As someone who has spent many times on both sides of the table, and as one of our Investment Summit speakers, we thought who better to give some crucial advice to studios seeking capital. "I've seen so many games over time," Bala begins. "Some have been very glitzy presentations, and others have been virtually paper napkin presentations. It's sometimes hard to even call some of these things presentations. "It's surprising how the showmanship and production values of the presentation are relatively uncorrelated to the success of the pitch. The people who are really putting their money to work, they see through the glitz and can get to the substance. "There are all these business plan contests that students enter in college. They do these videos, and they're amazing. I would never have been able to do any of those. I was inarticulate, I didn't dress well... and so I admired them for a long time. Until I started meeting some of the winners and asked them about the businesses they've started. Many of those people said they had a real job, and that they were just doing it for the prize money. So you find that the people who are best at presenting, they're not the same people who are committed to wholeheartedly building something. "It's surprising how the showmanship and production values of the presentation are relatively uncorrelated to the success of the pitch"
"I will say, though, that there is a bit of a line. You do have to get your message across. You have to convince people about what makes it special. And you don't have a lot of time to do that. So the crispness of your message matters a lot. "Sometimes you do need to give people a bit of wrapping so that they can imagine and come on a journey with you. If you want people to really understand what's special, and you come along with piece of paper with a few bullet points, or a big chart with lots of detail that's hard to read on a screen... that's going to do a disservice to your idea. "So there are things you need to do from a presentation standpoint, just to get your idea across. But it is in a service of a purpose. I remember the best presentations we made in terms of production value were the least successful. And the ones that had the most credibility are the ones that worked, and many of those were of the paper napkin variety." "The questions are: Where are the opportunities today and where they're going? How do you really clarify what an entrepreneur or developer would like to do? "Indies pitching games at a place like PAX, as opposed to a professional VC environment, these are people who are truly passionate about their projects. So it's about putting that together in a way that clarifies what's truly special about what they're making, who they're making it for, and why that audience will start playing their game over what else is out there. But also, why are they the right people to make this game? Can they actually pull it off? "These are important questions not just for the investors, but also for the team to answer for themselves. "In the early 1990s when we started making games, we were just coming up with cool ideas and making them. If I say what advice would I have liked to have gotten at the time, it would be to ask some of these clarifying questions to really put a focus on what we were doing. It took us five or six years to make our first game, just because it took us a while to figure these things out. "For people with a creative vision and a passion, how do we clarify that for them in a manner that what they have is simple, defensive, scalable, with a clear sense of who this is for, and why the gamer - who is so busy with other things - will play it, and get their friends to play it, and keep playing it? That's a tall order for any creative idea, but you have to go through that self reflection. And that has to show up in your pitch in a very clear manner. "You may talk for 15 minutes, but really people are only listening to you for two or three minutes of that pitch. The rest of the time they're thinking about their laundry, or whatever they have to do. So when you have their attention, this clarity has to come across. "Ultimately, the purpose of this is not to get investment, but to make great things and share them with people. So those sort of questions will hopefully help them with that." "You may talk for 15 minutes, but really people are only listening to you for two or three minutes of that pitch"
"When it comes to the idea, it is important to be able to feel something," Bala continues. "Different companies look for different things. Most things, especially at this early stage of development, you should be able to feel it within one to five minutes. "The reason why I say that, is because early stage companies don't have a shot of unseating the biggest games franchises. If you're a five-person team taking on Assassin's Creed, this is not a good battle to take on. Accordingly, early stage developers and their concepts are usually based on simple ideas that are things that nobody else has tried. So when you have that, depth of scope is less important and it's more about finding that spark. That is something you should be able to feel right away. "The other thing is that if it's not a simple enough experience that you can feel, it's really hard to pull people away from what they're already doing. You get the odd curious person, and your buddies... but you need to encourage hundreds of thousands, if not millions, to take away an old habit and substitute it with a new habit, so it needs to be so simple and to have a low barrier to entry. "You can see it with all the new IPs that go on to become big franchises. They're usually based on very simple ideas, which are put together in a unique way. In our past, it was unleash your inner rockstar with Guitar Hero. 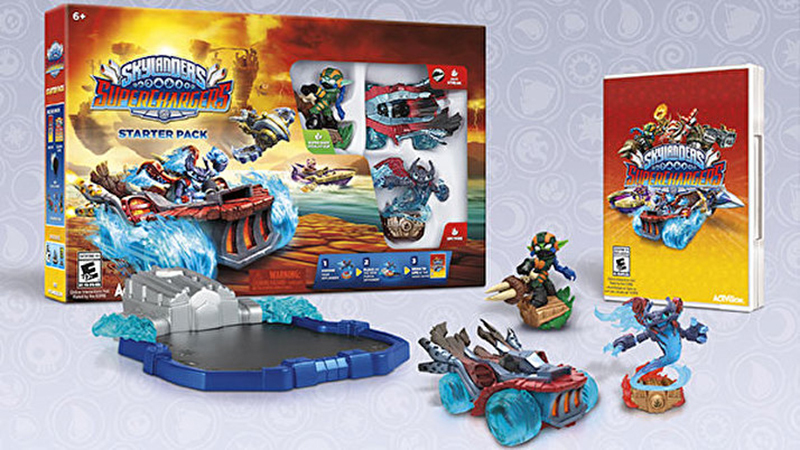 With Skylanders, it was bringing toys to life. Both very simple ideas at their heart, and then went on to become more in-depth experiences later on. "So from a product side we look for that essential mechanic, we look for that play feel, and they need to be able to nail it. It's not just about an idea, it's about how they can execute it in a clear and elegant way. If we can feel that essence, then that's super promising." "It's worth asking how committed is the team to getting this done. If it's a team of part-timers, it's hard to come to terms with that. There are real life choices, of course. People need to have jobs and earn a paycheck. But especially for the entrepreneur in the core team, we need to see total commitment. Because it's hard to make a game, it's hard to build a business. They require trade-offs and sacrifices at an early stage. If it's a little side project that you've been doing, or a work-for-hire unit that has a little side project designed to get some funding... these are all things that make you wonder about the total commitment." "Mr Iwata said back in the day that Nintendo doesn't do a lot of market research, because if you ask a consumer what surprises them, they'll never be able to tell you. The question doesn't even make sense. What Nintendo was all about is whether they understand who the gamer is. "Am I an 18 to 23 year-old gamer? What else do I play? What's my behaviour? What's my daily pattern? Do I have kids? Do I commute to work every day? If I do, maybe I tinker with my phone. Do I bike to work every day? Then I probably don't. "That's more important than saying that there's 20 million gamers in North America and Europe, and if we take this genre that appeals to this audience, then we have an eight million audience and we can sell it at $30 a pop and have a $240 million revenue. You can build a spreadsheet of that, but what sort of nonsense is this based on? These are fake mathematics. "You can get a gut sense of these things, but you can't get the precision that big companies need to green light massive capital investment. But that's also the opportunity for independent development and for people investing in independent development. You do need to be able to take creative risks that are not possible to take in large companies, both on the development side as well as the investment side." "There are advantages and disadvantages to experience. If I was in a student team, I could live on noodles, I could share a flat with my five best friends, and so my costs are super low. I can spend my time refining the core mechanics and finding the spark. My runway is really long and my costs are really low. Students don't need a lot of money to be able to offer total commitment. They don't have a mortgage, probably. They don't have big debts. "That's an advantage. The obvious disadvantage is that you've not done this before. "Each team background has different advantages and disadvantages, and it's about figuring out if there's a fit"
"With five years of experience, you start getting used to a lifestyle where you get a paycheck on a regular basis. And you start wanting to live outside of the dorms. So your runway is a lot more limited and you have to run a lot straighter to get to your goal. In that case you have to apply your experience to get a really sharp prototype. "You do get examples of games like Stardew Valley, which was made by one person working forever to get it done. But if you're working on a multiplayer, live-services type of experience, then you need a few people. That's harder to do at scale. But with experience, you can make better daily choices, your estimating would be better. As a student, you think everything can be done in three months before that's how long your school projects took. As an industry professional with some experience, you know it takes time and resources and people. "Then on the other end of the spectrum, there are those with 20 years of experience, and there's a blessing and a curse to that. They are the people who will most effectively put their plans together. They have a broad network of professionals, not just friends, who they can bring in if they get traction. But the older generation also bring in a lot of biases. They are the ones that say this is how we did it before on X, Y, Z. I find myself in this bucket, too, which is why I love to spend so much time with the new entrepreneurs, because it's important to open your mind a little bit and say that there are different ways of doing it. "There is an element of sacrifice that I need to see. When the market is frothy for investment, and there is a lot of money flowing in, sometimes on a powerpoint you can get something green lit. Suddenly you'll be well funded, you can have that executive chef in the kitchen and live this amazing life as a start-up but with no revenue. But if we look at it on a longer term basis, if the market is a bit tighter, then you need to be able to say to the team that we have this vision, let's tighten our belts and get this done as lean as possible. "So as an investor, it's important to really size up the team. Each team background has different advantages and disadvantages, and it's about figuring out if there's a fit." "There's always a quid pro quo. If it's signing with a publisher, the publisher expertise involves marketing, distribution, pricing, analytics... all those sorts of things that publishers do. So they need to control all those things. And if there's success in it, they will want to do the sequel. They will want long-term IP rights. "On the investment side, it's more about how you manage your business. If you get $1 million from an investor, any money for anything off the pre-approved plan would often have to go back to the investors. That's quite typical. "For any kind of relationship with a publisher or an investor, you need to feel really good about the partner because there will always be some form of control that you'll have to give up. And some kind of rights to give up. It's a marriage in that sense. "It can happen when you've been working on something for a while, and you're at the end of your runway, and you just do the deal to get the game over the line. If you do it without enough of a consideration of the relationship that you're getting into, then it could be an unhappy one. And it happens, right? That's what gets written about. You don't get many articles about all the happy marriages that happen in our industry. It's more about the developer that got screwed by the man. That's what makes it in the news. "But there are great partnerships, that are based on having a good fit and a shared control of the future." The GamesIndustry.biz Investment Summit at PAX East takes place this Thursday, March 28th in Boston. For more details, and to get tickets, click here.